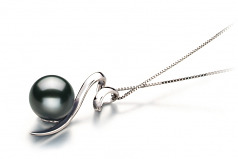 Wrapped around the 17 inNecklace, the 14K white gold pendant loosens and flows down catching a Back Tahitian Pearl along its way. 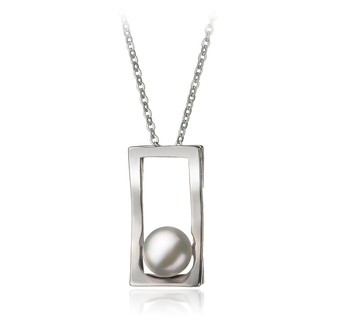 The grace and beauty in the gentle flow of the pendant is easily seen in the flow of the shimmering 14K white gold. 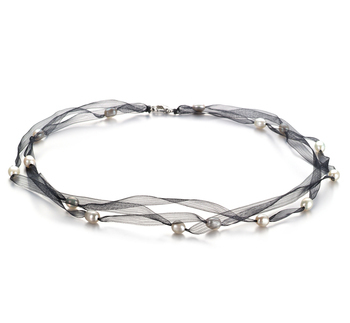 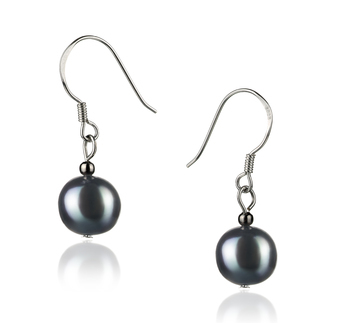 The perfect lustre of the black pearl can be seen dancing along the pearl’s surface as it skips back and forth from the necklace. 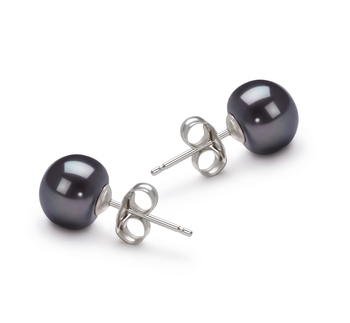 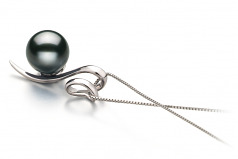 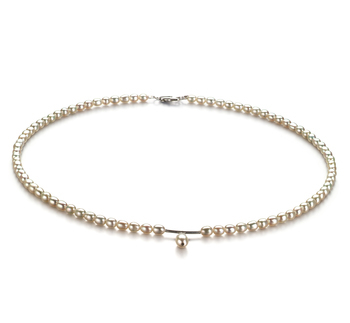 The AAA near perfect shape of the pearl rests alongside the flowing pendant taking in the warm tones of the various colours and blending them into the perfect essence of the Tahitian 8-9mm Black Pearl. 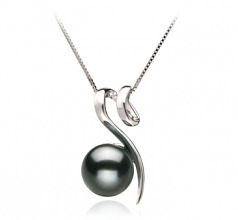 The high quality and combination of white gold and a black pearl makes this pendant a dream to match up with anything in your wardrobe. 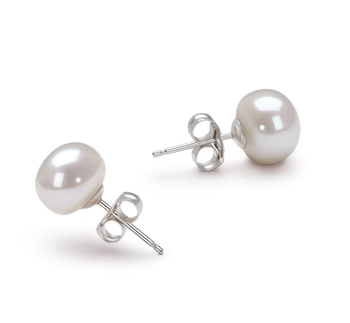 Each defines itself but together, they define one piece that is truly magnificent.